Happy New Year, friends! 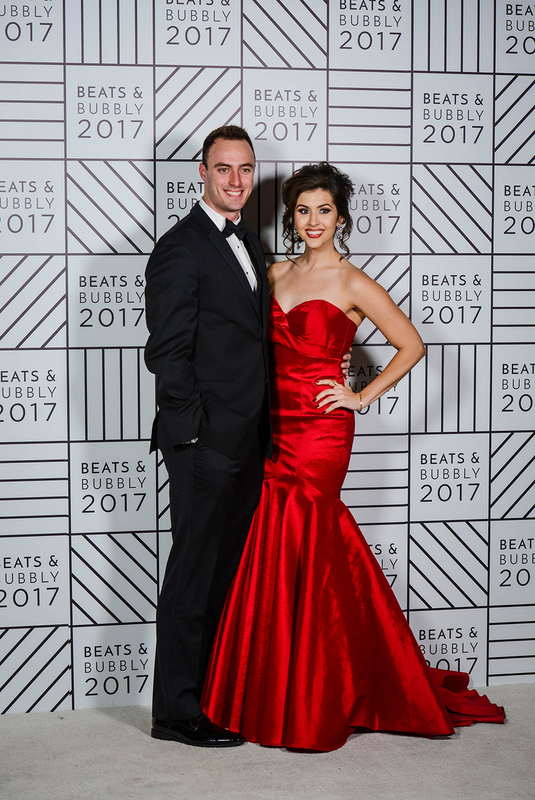 I can't believe it has been one week since we counted down to midnight at Beats & Bubbly! 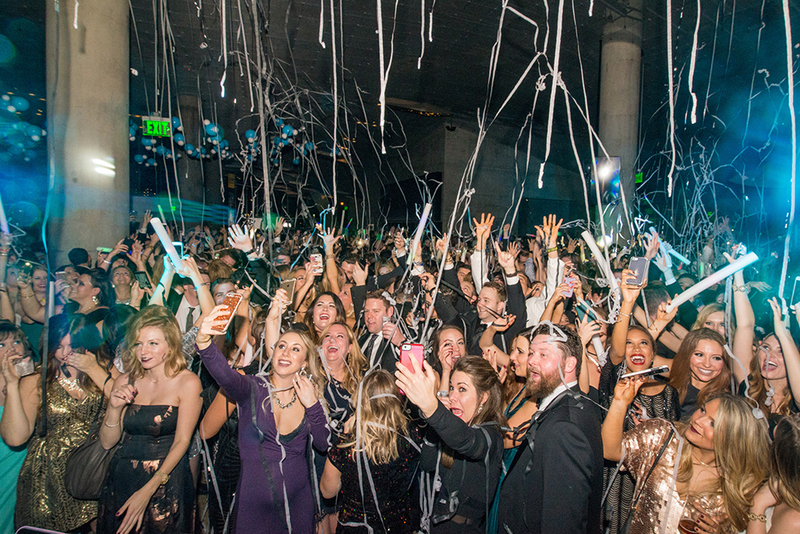 To everyone who attended, thank you for being the best guests and making this New Year's Eve a special one. 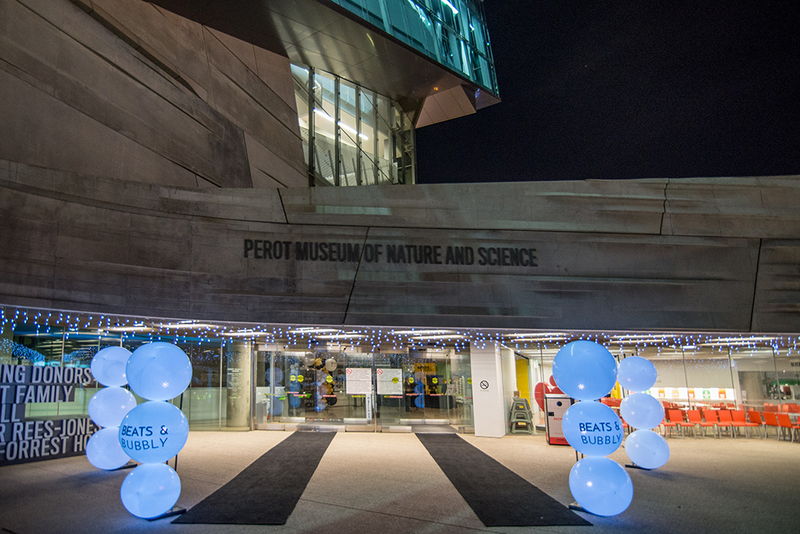 After spending months planning Beats & Bubbly, seeing it come to life at the Perot Museum made for an unforgettable night! I wanted to hit "pause" because, of course, "time flies when you're having fun" and I didn't ever want the night to end. I've been planning events for a while now, but this one is by far my favorite to date. 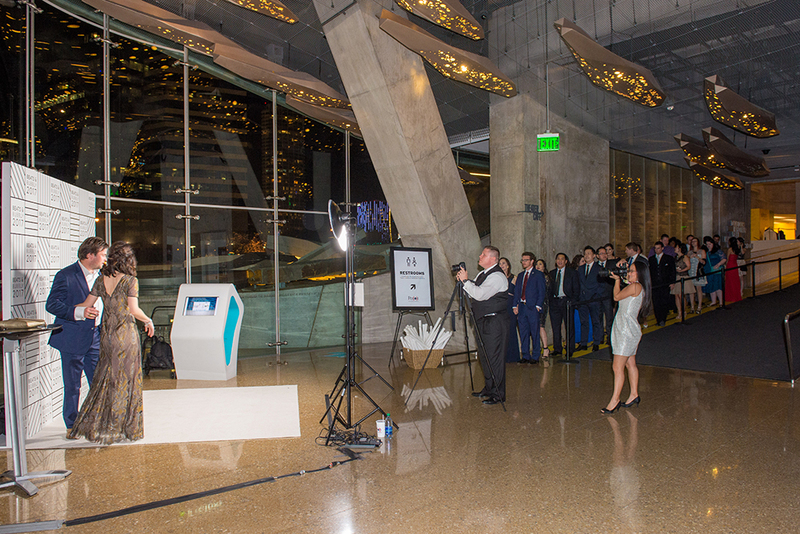 I hosted this private, sold out event at the Perot Museum of Nature and Science and wanted to give guests a positive and fun alternative to clubs and the drunken masses in Dallas. 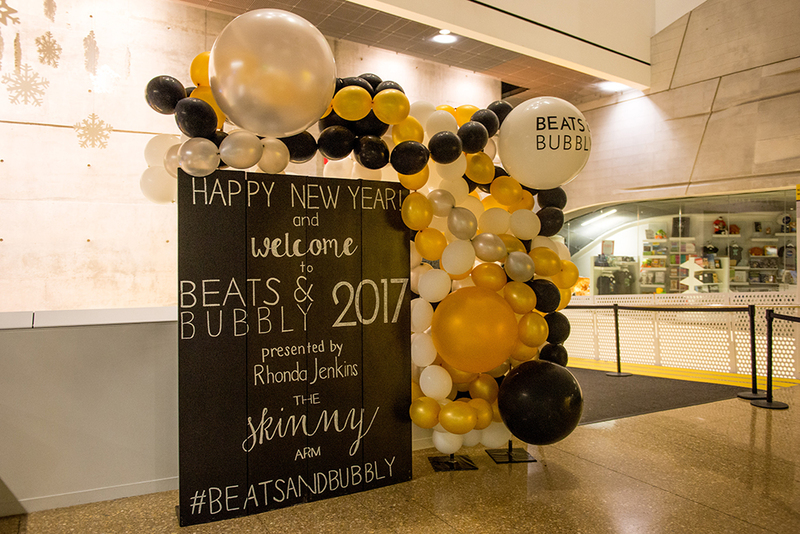 This was my second year to host Beats & Bubbly (read about last year's NYE! ), but I wanted this year's event to be Black Tie and let my guests dress up, celebrate the new year, and benefit a charitable organization (Champions of Hope)! 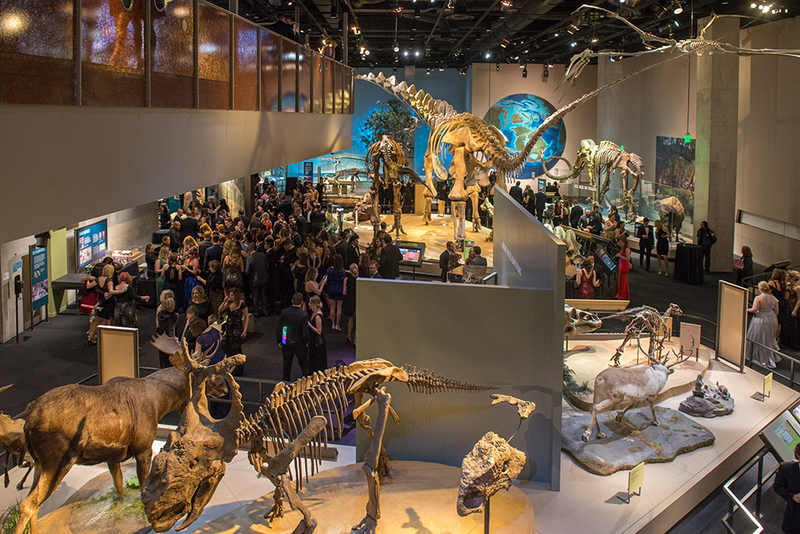 Each level of the Perot Museum features unique exhibits and guests were able to browse the museum while enjoying a cocktail when they wanted a break from the dance floor. One of my favorite parts of any event? You guessed it...photobooths! I had three photo opportunities for my guests along with a custom Snapchat filter to capture the evening's festivities. 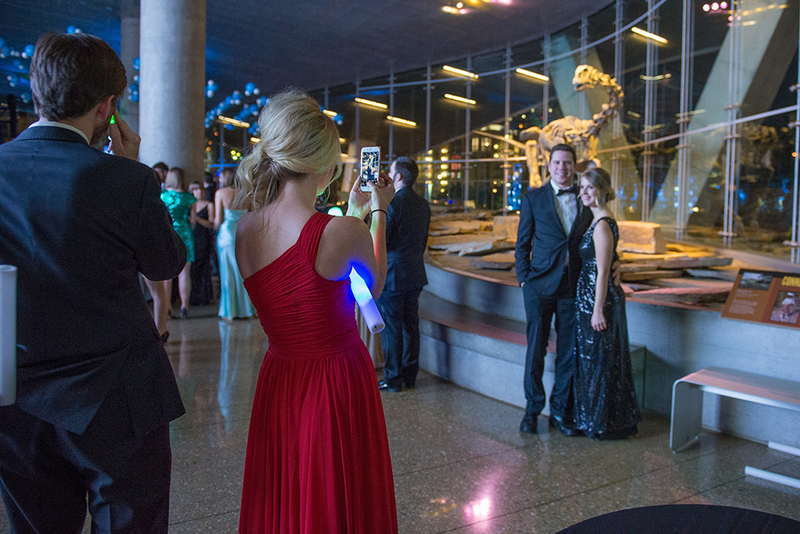 After entering the Perot Museum, guests were able to stop at the step & repeat to be photographed before making their way to the dance floor. 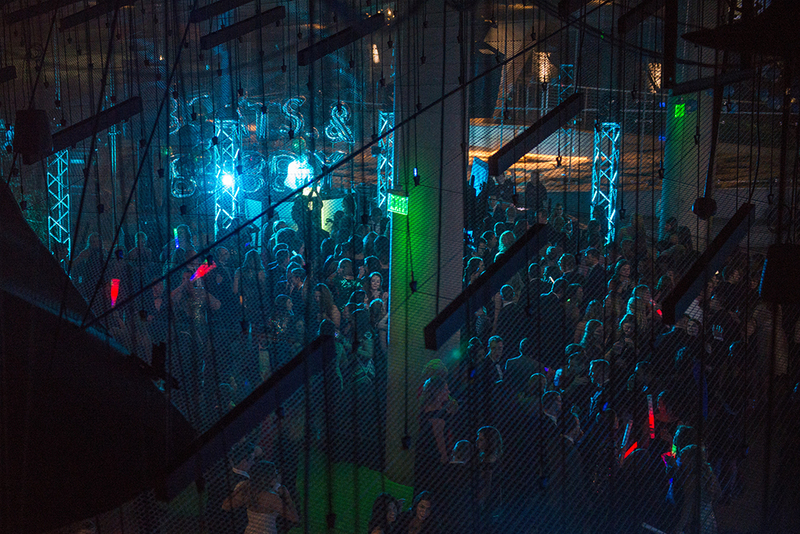 The main floor was where the DJ and dance floor were. DJ Bradford kept the dance floor high energy all night and guests enjoyed LED foam sticks and glow sticks to light up their dance moves. 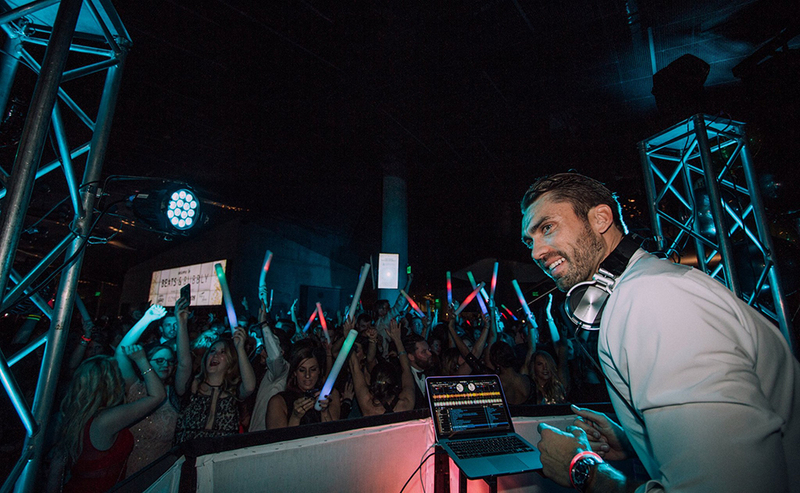 DJ Bradford has been playing at my parties for about 6 years now and I love seeing him grow as an entertainer and DJ- he was the best I had ever seen on NYE! 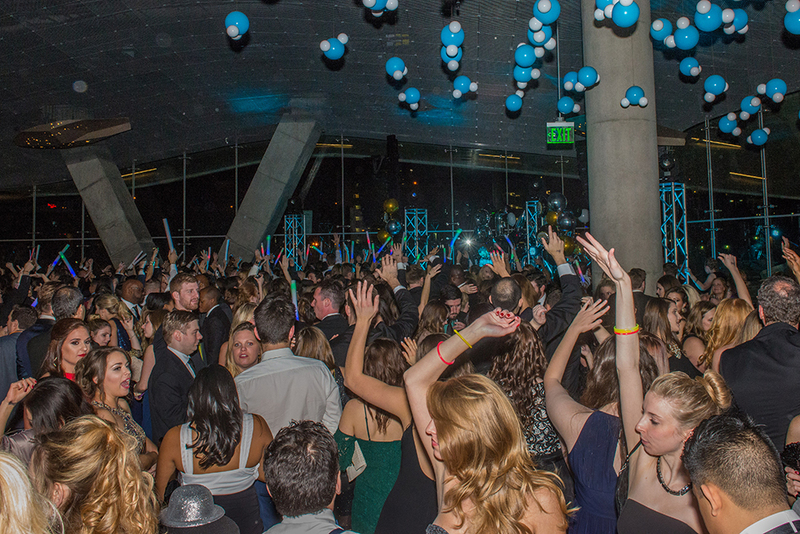 Right before midnight, almost all 1500 guests made their way to the dance floor to count down together to 2017. The energy from the crowd was amazing and felt positive and expectant for the new year. 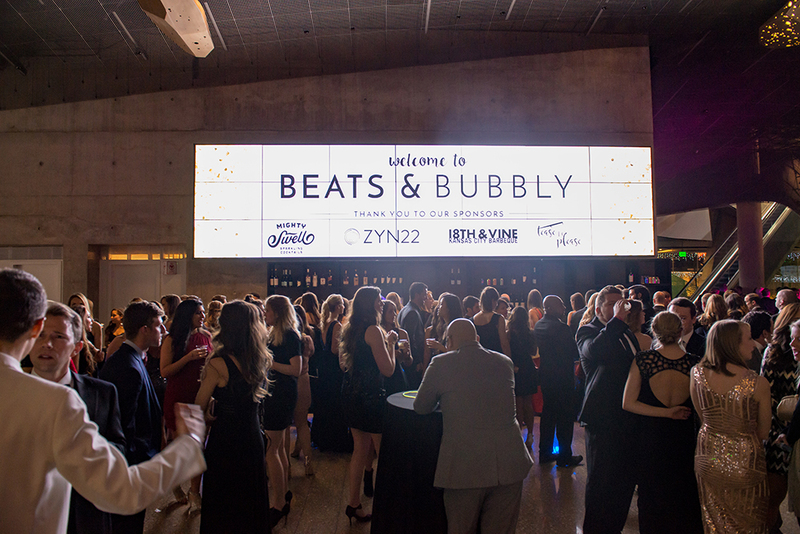 Beats & Bubbly was fortunate to work with some fantastic local sponsors to make the night even better. Thank you to Mighty Swell, Zyn22, 18th & Vine BBQ, Tease to Please, and Cookie Whipped for your contributions to Beats & Bubbly! You can find details about my sponsors and my vendors in a separate post. 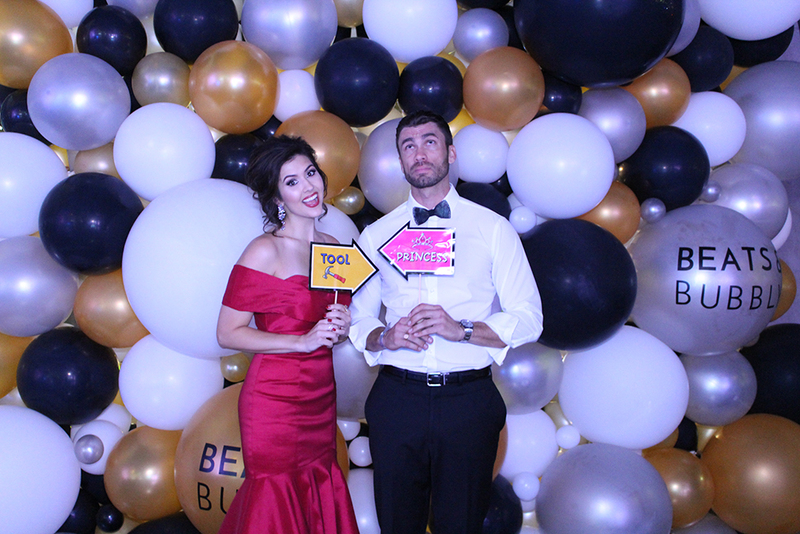 This balloon wall was another one of my photobooths, complete with all sorts of props for guests to include in their photo strip or GIF. Meet my friend and favorite DJ - DJ Bradford! (We love to give each other a hard time.) One of my most memorable moments was right before the party started - DJ Bradford, myself, and my event photographer and friend, Brandon Mikeal, took a moment to pray together and ask the Lord for this event to be used to glorify him and keep guests safe on NYE. I am so thankful for all of my friends who encouraged and supported me during the planning stages of Beats & Bubbly! 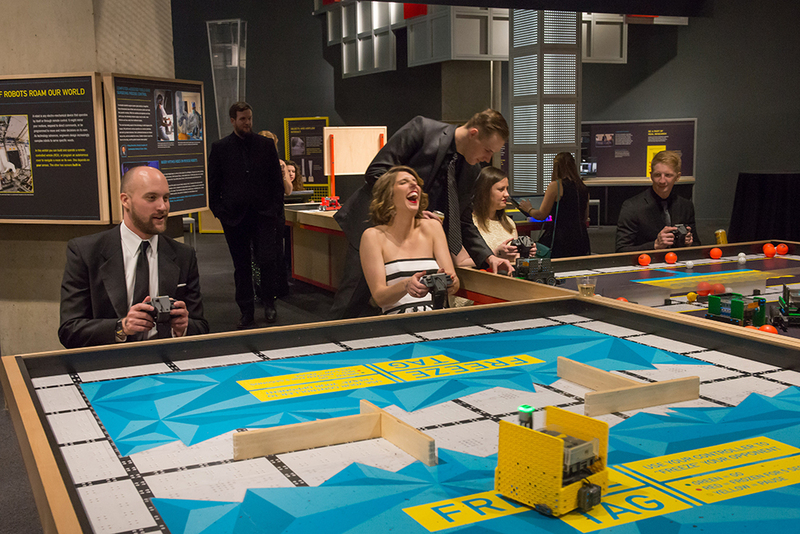 Guests enjoyed exhibits throughout the museum during the party and could find a place to sit down and rest away from the dance floor if they needed a quick break. Who wouldn't want to dance with the dinos? I loved having the museum open for guests to browse during the party- I know everyone enjoyed being able to spread out around all 5 floors of the museum and explore. Dancing in a group with my closest friends and counting down together was the best way to end 2016 and welcome in the new year. I'm looking forward to what is ahead in 2017 and can't wait to see where the Lord takes me on this event planning journey! 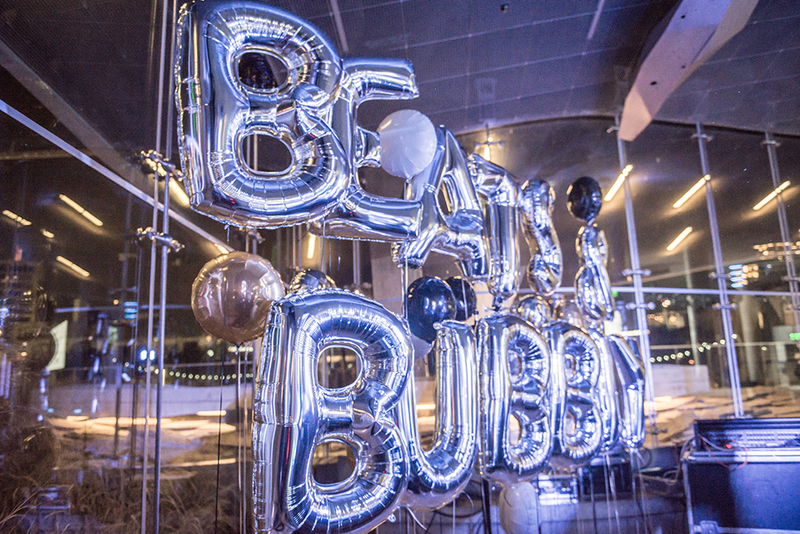 Thank you all for coming to and supporting Beats & Bubbly! Photos by Brandon Mikeal Photography for The Skinny Arm, unless otherwise noted.